Into Himal Pradesh on a curvy road where we stop for Nathaniel to heave his five-star breakfast on the side of the road. More climbing and descending before passing through the Kullu valley to Manali where spend two days among beautiful pine forests, rivers and charas (cannabis) bushes alongside the city lanes. 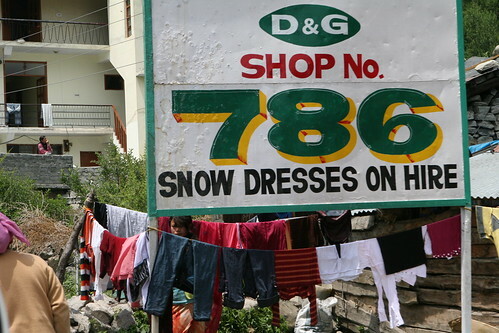 It’s summer in India and the tourists have descended upon this mountain town. The main street, at night, is like a festival, with traditional dancers, drug dealers and people who look as if they want to be hippies. 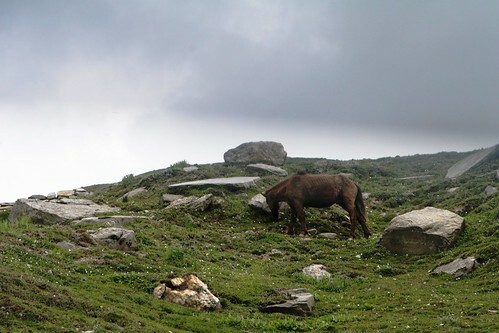 Our agenda in Manali (besides buying a shawl or two and walking beneath the grand pines and breathing clean mountain air) is to arrange a journey by car to Ladakh. And we do. 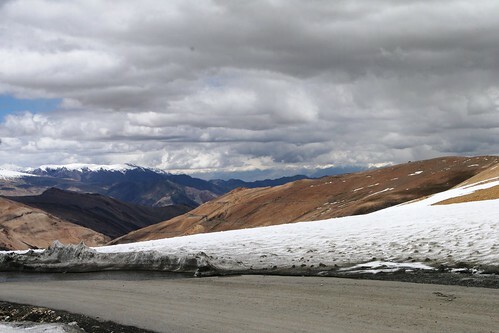 On day one we climb the switchbacks on the single-lane road to Rohtang la (3978 meters) where we stop amid Indian tourists playing in the snow. We leave the crowds behind as we descend into the Chandra River valley. 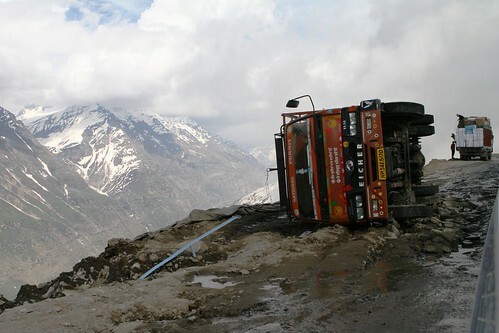 The road is washed out in places, and narrow; and yet somehow we find our way around trucks as they slowly climb to the pass. We spend the night in the isolated village of Keylong where we stay in a guest house where we have dinner and watch Rajasthan defeat Chennai in the final game of IPL Cricket season. We begin day two with a morning hike through terraced fields of peas and potatoes and then in the car again, climbing from the Bhaga River up over the stunning Baralacha la (4950 meters) and down to roadside tents at Sarchu where we spend the afternoon and evening walking along the river, eating and tending to children with altitude headaches. Day three is the longest, about ten hours of travel time, with three passes, the third and highest over 17.500 feet. From Sarchu we enter Jammu and Kashmir, climbing over Lachlung la (5060 meters) and then descending through a stunningly beautiful gorge to a roadside camp at Pang where we eat chapati omelettes and butter tea. Then up again from the army depot across the high plain with wild asses and khampa nomads tending sheep. 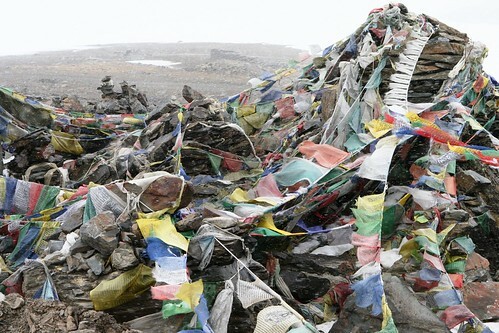 Then higher once again, to Tanglang la (5328 meters), where we change a flat tire above 17,500 feet and then wait for close to two hours as road workers try to fix a loader blocking the one-lane road. And then down through a narrow canyon to Upshi, in the Indus River valley, where we eat a late lunch, repair our flat tire, and drive up the valley to Leh. 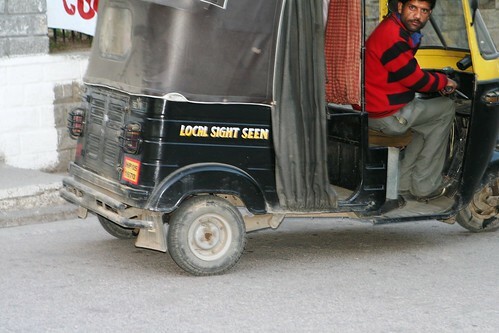 This entry was posted in Travels in India and tagged himal pradesh, india, ladakh. Bookmark the permalink.